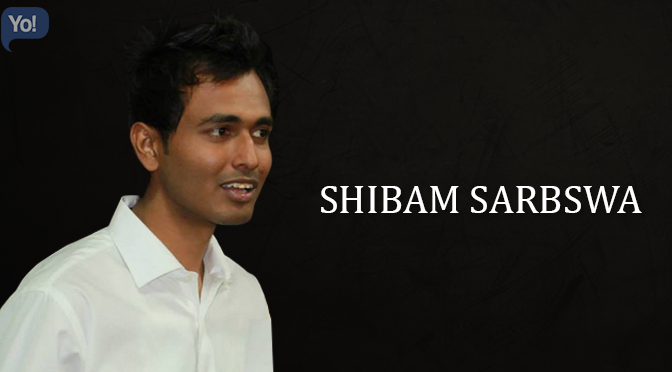 Mechanical engineering graduate, Shibam Sarbswa, is the man behind TrackNext. TrackNext is a ‘Social Business Networking website’ which provides solution to all your social, professional and networking requirements. The platform helps students, entrepreneurs, corporates and academicians to connect, share and exchange their ideas on educational, professional and social levels. TrackNext allows you to upload documents, track people and organizations free of cost. Entrepreneurship has its own energy which flows through our passion towards it. It all happened during those college days, when everyone around me wanted to do a job; & insisted me to make a firm, where they can work: although it’s a Joke sort of thing, but currently the whole country needs a Job, so we thought that it’s good to take a startup, learn how to deal with people & give them what they wanted. Live life with full satisfaction, time is finite. Frankly Speaking, nothing in this world is a cake walk; but every time my TEAM stood up & defeated every bugs & problems. It’s really impossible to start without a balanced team, we have spent many sleepless nights together working on it & bringing it to this level. Till of now we are self funded, but We have various model of making revenue; but presently our only focus is on acquiring new users, We are developing our mobile apps for all platforms, even the android app is available in the Google Playstore. India is itself a very big market to wisely survive. So no need to opt any other nation to explore more. Self Believe, Negotiation skills, & Adaptability these skills can make you the Alexander of any game. Well I don’t use mush as I believe in networking & and adding values to every person or organization I associate with. I think the Team Work whole TrackNext team does without any communication gap. I am too straight forward; sometimes people find it offending. Believe in your skills, Life is finite, so keep discovering new things. We want to cover the whole Indian market, & reserve a top spot in apps world. I would go for my own garage & create the fastest F1 car there. But right now we are focusing only on TrackNext to make it a global platform. “Never be bullied into silence. Never allow yourself to be a victim.